We all want our children to reach their full potential and the same is true when you're raising an Olympic athlete. 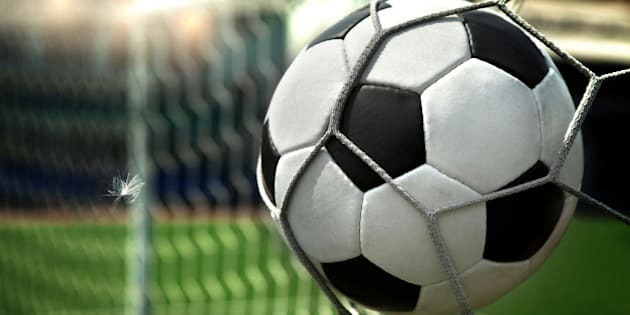 My daughter, Stephanie Labbe, started playing soccer when she was 12 and from that point on, a large part of the whole family's life was spent on sport fields and arenas. We all want our children to reach their full potential and the same is true when you're raising an Olympic athlete. My daughter, Stephanie Labbe, started playing soccer when she was 12 and from that point on, a large part of the whole family's life was spent on sport fields and arenas. Throughout our 15 year-journey to the 2016 Olympic Games, we've focused on these three guiding principles to keep us moving forward and help her reach her full potential. I wouldn't use the word "sacrifice" to describe my journey to Rio with Stephanie, but as a family we definitely adjusted our schedules to support and cheer her on. Family vacations often revolved around whatever country she had a game in -- and we loved it! To this day, we schedule our family holidays around her tournaments so we can be there to give her a big hug after each game. As a family, a large part of our strength is drawn from open communication. It was the biggest type of support we could provide Stephanie over the years. Often we had to watch her games online but we always made sure to send her a text before the game to let her know we were rooting for her. Communication in our family never held any restrictions. I remember in university she felt she wasn't getting enough playing time and needed a pep talk at 2:00 a.m. one night -- so my phone rang. Stephanie eventually decided to take a step back from the national team in 2012. We always told her to talk it out with coaches and peers as well as my husband and myself. Our communication gave her the strength she needed to be comfortable in her decision. As a mom, I've always tried to be strong for Stephanie. Watching her struggle with the decision to step back from the team in 2012 was a time where I had to be particularly strong. Every time I see that Thank You Mom video, it reminds me how important my strength and support of her is. Stephanie and I are both proud women and so we're excited to be associated with the Like A Girl campaign, because we know how difficult it can be for girls during puberty to maintain and grow self confidence. Stephanie is living proof that with the right support and encouragement, girls can take on the world. A trait I admire most of Stephanie is her positivity. She always sees the good in people. If I could give one piece of advice to parents who are starting this journey with their kid it would be to stay focused on the good. Recognize when your son or daughter is down and keep lifting them up. Over the years, we've learned to let the coaches do their job even when we don't agree with their calls. Being an elite athlete has enough pressures without having Stephanie worry about what we think. As we head to Rio in a few short weeks we'll carry each of these principles with us. None of us set out to raise an Olympian but with support, communication and positivity we can all raise pretty great kids! Beverly Labbe is the mother of Stephanie Labbe of the Canadian Women's Olympic soccer team that will be heading to Rio to compete on the world stage this August. Stephanie is the goalkeeper on the women's team and this will be her first Olympics. She currently has one Pan Am Games medal to her credit, having won silver at Santo Domingo 2003. With the under-20 team she won gold and silver at the 2004 and 2006 CONCACAF Championships. As a member of the senior team, Labbé has three Cyprus Cup Championships, a CONCACAF gold medal from 2010, and played in the 2015 FIFA Women's World Cup. Stephanie and Beverly are associated with the Like A Girl campaign, because they know how difficult it can be for girls during puberty to maintain and grow self confidence. Stephanie is living proof that with the right support and encouragement, girls can take on the world.